There are costs associated with a DWI arrest that many people fail to realize at the time they see those red lights flashing in the car mirror. Such costs include fines, penalties, insurance surcharges, court costs, bail, attorney fees and driver education programs. Driving under the influence (DUI) is a serious matter in all 50 states. What follows is a brief outline revealing important information concerning the costs associated with losing a DUI case and what to do about guarding against the financial struggle that results from it. The simple act of going to court costs money. It does not matter if you waive your right to a trial and accept a plea agreement. The court needs to be compensated for its time. If you plead guilty or are found guilty, you will pay fines and court costs. In addition to these, many states tack on additional fees. The states justify these fees by reporting that the monies collected go toward drug and alcohol awareness programs. If you are a driver of a motor vehicle that is charged with driving while intoxicated, you will have two cases on your hands. One of these cases will be criminal and the other will be civil. Your criminal case will likely be prosecuted by the County Attorney’s Office. Your civil case will involve your driving privileges. For this reason, it will likely be prosecuted by state attorneys working within the Department of Public Safety. The professional legal staff at the law firm of Harron Law, with Austin, TX, criminal defense attorneys, says that in all likelihood, you will be given a certain number of days (usually 15) from the date of your DUI arrest to request an Administrative License Revocation Hearing. You do not want to default on your right to this hearing because your driver’s license will automatically be suspended. For this reason, you should not take chances. You should retain an attorney to request this hearing for you. A DUI conviction earns you high-risk status in terms of car insurance. At this point, insurance providers will either deny you coverage altogether, or charge you a very elevated rate to play. The insurance rate you end up paying will be based on your insurer’s perception of what your worst-case driving scenario could be. Remember, from their point of view, you might take another human being’s life. In the U.S., it is possible to lose a very large sum of money to the court system even before you’re convicted. This particular process is called civil forfeiture, and it allows the police to seize, keep and even sell your personal property, including the cash in your pocket, simply by alleging that the cash or property can somehow be connected to a crime. Property owners need not be arrested for this to happen. The police simply confiscate your money or property on the spot and issue you a summons. For folks whose property has been seized through civil forfeiture, getting it back is notoriously time consuming and burdensome. For drivers in any state, the financial impact of a DUI arrest and conviction can be devastating. According to Bankrate.com, the full costs for any one person involved in a DUI conviction will vary and are influenced by many factors. Drivers should be aware that first-time offenders with no accident involved can expect to shell out between $9,000 and $24,000 after the judge slams the gavel down. One drink too many can put a driver at risk not only for the loss of his or her freedom, but for fines, penalties and other costs that can run into the thousands. The full financial toll of a DUI arrest will often play out for several years after the original incident. This is so even if it does not trigger the loss of a job. DUI charges are always a serious matter. For this and all of the above reasons, drivers need to know how exactly how to protect their rights if they should ever be pulled over by the police after they have been drinking. 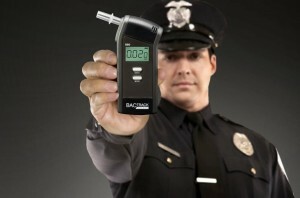 Wow, there are a lot negative consequences that can result from a DUI. This site reinforces how important it is to have a designated driver, or to hire a cab. Then, if the worst happens, it looks like it’s a really good idea to higher a DUI attorney. Oh wow, just reading this it seems like it sure is costly to be ticketed or even charged for DUI. I’m guessing that even the criminal law would hold the individual who’s accused of it to be responsible in some ways for the charge. How serious of a charge would each state in the United States hold a DUI offense? Of course, there are financial consequences that come with a DUI. However, those types of consequences pale in comparison to the damage you could do. I’m glad that you’ve outlined all of the expenses, hopefully it will deter people from driving drunk. A friend of mine once told me about the costs of a dui. She mentioned that the cost of it affects you financially and personally. It’s something that she had on her records after crashing into her neighbor’s fence and almost running someone over. This is some incredibly valuable information for anyone who underestimates the weight of a DUI on your future. My mother got a DUI about ten years ago, and it really did a number on our finances. The only reason we were able to scrape by was because her defense attorney was able to get her off fairly easy, for the situation. Thanks so much for writing! Driving drunk is obviously an awful thing to do, but it’s surprising that there’s so many costs associated with getting a DUI. Like you said, even if there was no accident involved, a DUI can cost you up to $24,000. If nothing else, the cost of attorneys, court costs, and insurance premiums should deter you from driving drunk. Thanks for the article. I have a friend who was arrested for a DWI before, and he is still trying to recover. One of the things he didn’t do right was protect his rights, like you said. He never hired an attorney, so he wasn’t really able to protect himself.